AWSA Certified Coach Cindi McMenamin has 15 years experience helping aspiring writers become published authors. She specializes in helping women turn their passion and creative ideas into a speaking or writing platform. 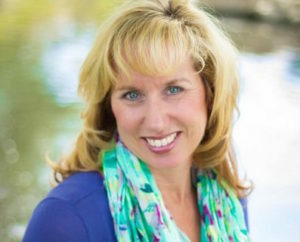 Cindi is an award-winning writer and author of 17 books (all from Harvest House Publishers), and a national speaker whose ministry has taken her to 36 U.S. states and Canada. Her most popular books include When Women Walk Alone (more than 130,000 copies sold), Letting God Meet Your Emotional Needs, When a Woman Discovers Her Dream, When Women Long for Rest, When God Sees Your Tears, and When Couples Walk Together (co-authored with her husband, Hugh). * clarify what God is calling you to write or speak about. * organize your thoughts and come up with a structured outline for your book or spoken messages. * guide you in the writing of a nonfiction book proposal to get an agent’s or publisher’s attention. * develop your writing and speaking skills to become a credible professional. * polish your already-written manuscript and help make it reader-relevant and marketable. * expand your platform to reach the largest audience possible with your message. * explore avenues of opportunity for exposure to your writing or speaking. * assist you in developing a fee structure to begin making a living at writing and speaking. Whether it’s short- or long-term coaching that you need or a specific service like proposal-writing, editing, or manuscript critique, Cindi’s expertise, and affordable fees can help you move forward with your goals and accomplish your dream to write or speak. Fill out Cindi’s “Do We Fit?” questionnaire on her website for a complimentary half-hour coaching session to determine if her coaching or consulting is right for you. * Cindi’s non-fiction book proposal format has won awards (for various book topics) at Christian Writing Contests in Southern California and was used as a template for beginning authors by her publisher for several years. Because of the diversity of book topics and subjects taken into consideration when contracting a book, her proposal format does not guarantee an award or publication of your manuscript.